Dimensions: H20 x D10 cm approx. 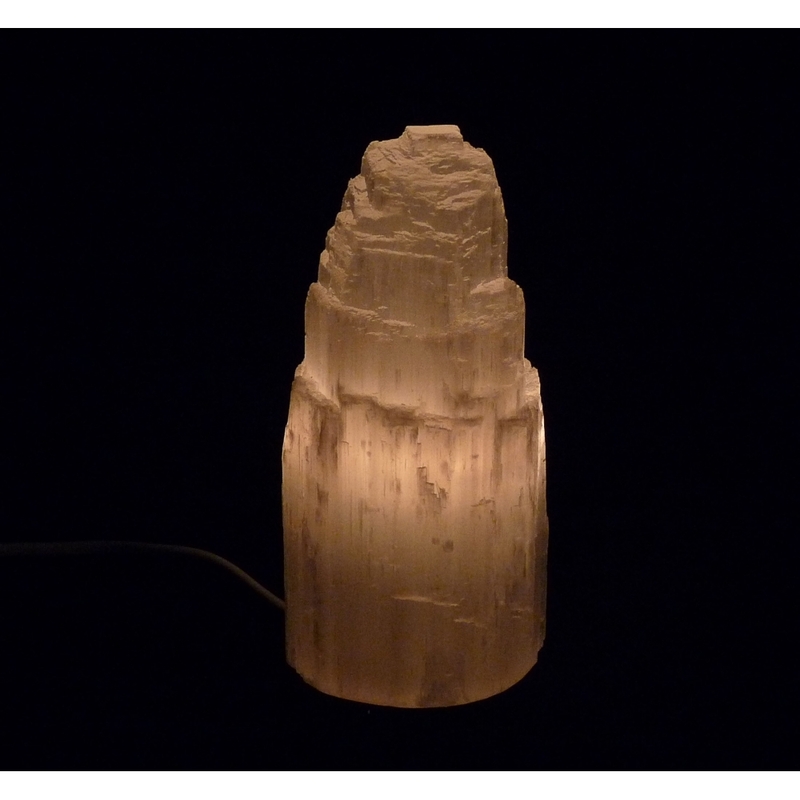 This beautiful 20cm White Mountain Selenite Stone Table Lamp will emit a soft warm glow, creating a relaxing atmosphere in any room. The unusual light would be a lovely gift idea and a stylish addition to many modern homes, restaurants, cafes, offices and other interiors. I saw these lights at a Christmas fair and they were double the price. This one is much better quality. I bought it as I love mountains and glaciers and I am really pleased with it. Delivery was very quick. If you are looking for a contemporary light then this is for you.